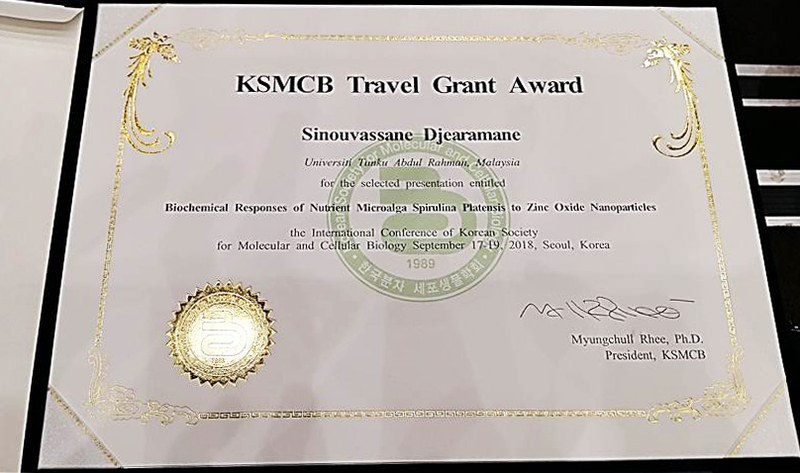 D. Sinouvassane, an academic from the Department of Biomedical Science of UTAR’s Faculty of Science (FSc) won the KSMCB Travel Grant Award in the International Conference: Korean Society for Molecular and Cellular Biology 2018 (KSMCB) held at COEX Centre, Seoul in Korea from 17 to 19 September 2018. 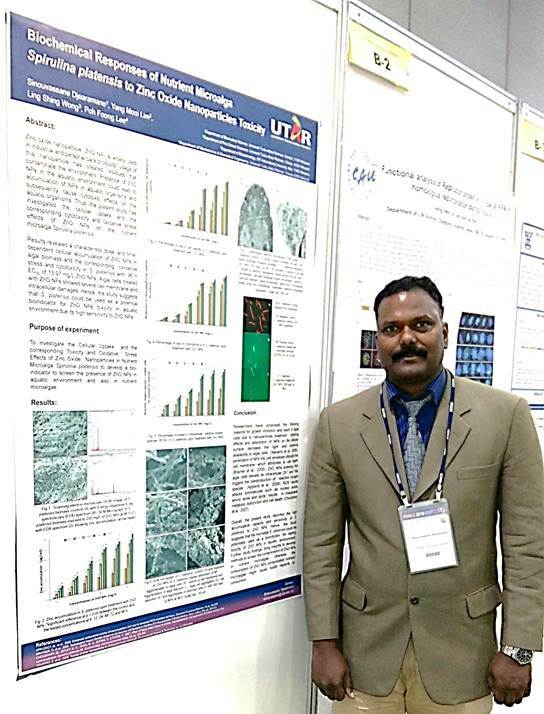 His paper titled “Biochemical Responses of Nutrient Microalga Spirulina platensis to Zinc Oxide Nanoparticles Toxicity” won the Travel Grant Award and he walked away with a cash prize of USD520. Organised by the Korean Society for Molecular and Cellular Biology, the KSMCB is an annual conference aimed at providing platforms for biologists to share knowledge and ideas at the largest and yet most diverse, contemporary and detailed levels. Held for the past 30 years, this year, the KSMCB 2018 successfully hosted four outstanding plenary lectures, nice award lectures, 24 symposia on the current topics, five luncheon symposia and more than 1,000 poster presentations by young investigators as well as more than 130 exhibitions by the domestic and global companies. The conference also saw more than 150 world-renowned scholars reporting and discussing their latest research breakthrough with expertise and depth as well. The conference also set up two special sessions on Korean government policies and budgets for research and development in science and technology. 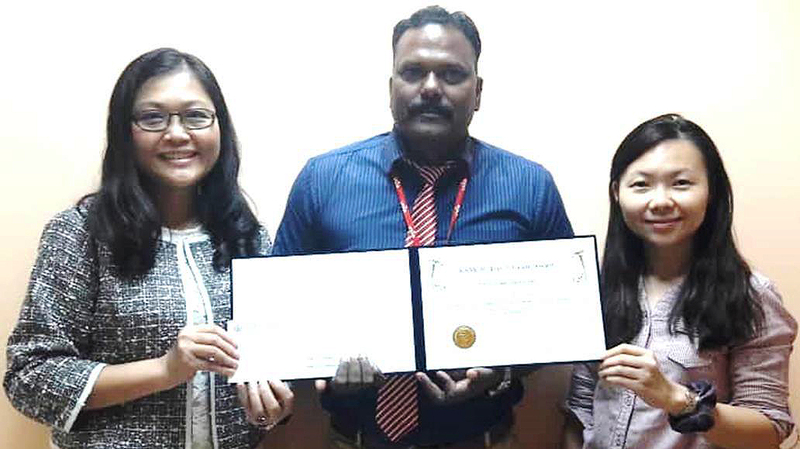 Sinouvassane is also a doctoral candidate at UTAR FSc under the guidance of Prof Dr Lim Yang Mooi from UTAR’s Faculty of Medicine and Health Sciences and Dr Lee Poh Foong from UTAR’s Lee Kong Chian Faculty of Engineering and Science, both in Sungai Long Campus. His research area is nanobioscience and his study aimed to identify bioindicators that can detect the presence of zinc oxide nanoparticles (ZnO NPs) in the aquatic environment using nutrient marine and freshwater microalgae. The marine microalga or cyanobacterium Spirulina platensis, a well-known nutritional supplement, was found to be the potential bioindicator for ZnO NPs as it accumulates a significant amount of ZnO NPs and shows profound oxidative stress and cytotoxic effects. The findings of the study could be useful to develop the biosensor to screen the contamination of ZnO NPs in the aquatic environment and also in the nutrient microalgae. Otherwise, the consumption of ZnO NPs that is contaminated with nutrient microalgae might cause health hazards to the consumers. 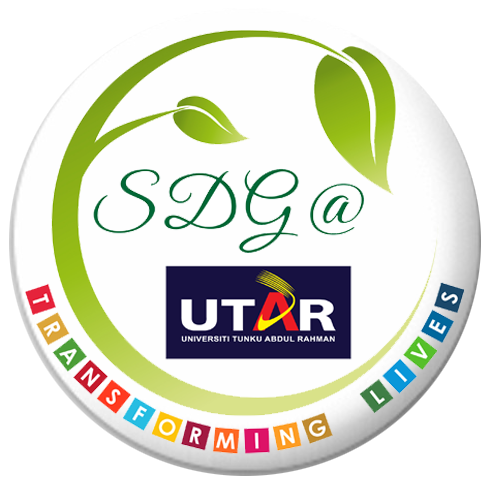 This project is externally collaborated with Prof Dr Wong Ling Shing from the Faculty of Health and Life Sciences, INTI International University, Nilai and funded by UTAR Research Fund and Ministry of Education, Malaysia. The research findings have been published in PeerJ journal on 1 June 2018 under the title “Cytotoxic Effects of Zinc Oxide Nanoparticles on Cyanobacterium Spirulina platensis”. PeerJ 6:e4682; DOI 10.7717/peerj.4682. PeerJ is indexed by PubMed, PubMed Central, Scopus, Web of Science, etc. IF= 2.2. The conference saw a total of 2,600 participants from over 28 economies and a total of 988 presentations were carried out.